I watched a film tonight that is available to rent on DVD. It is called This Is England. The film is set in the year 1983, after the Falklands campaign, during Thatcher’s reign during that period in England when there were nearly 4 million people unemployed and the government buoyed itself on Nationalism in the absence of economic success. The story centres round an ordinary young teenage schoolboy who lost his dad in that war who accidently finds himself involved with a group of skinheads and follows their evolution through the power struggles and splits in the group and the follies that befall them. What struck me about this was that the group was not everyone’s archetypal image of warlike hate filled skinheads that evolved in the 1970s. It was portrayed as normal people who were just happy community like any other grouping of its time, be it post punks, goths, rockers, or even the new romantics. What turned the film grim was the upheaval caused by the introduction of hard-line Nationalist factions into the group, although the reasonings behind it were as ambiguous and poorly understood by the characters as happens in real life. It gave it a sense of reality in showing how it portrayed, through inaction, fear, intimidation and the strength of character of very few individuals, that a whole group can be changed or splintered into badness; sometimes with many sheepish and unwilling accomplices. What I noticed about the way this was done in the film was that this group and what happened in it was a microcosm of the Nation as a whole in 1983; whipped up into a frenzy of Nationalism by the government of the day because they had double figure unemployment percentages and no economic success to win the next election. Stirring up National pride with a war is an old tactic to mask the reality throughout history, even today. Misguided and misdirected and for all the wrong reasons in the national and group arenas. The results the same in each, scapegoats! Inocent people getting hurt. Blinded, unquestioning followers doing the leaders bidding. Friendships torn apart. It made me think back to the start of the 1980s and look at it again. I had almost filed that time away as a non-event in my mind. It was like a void between 1977, the time of jubilee and punks, and the mid 80s, when every brassy bloke from Essex could buy a house and drive a big car. Now I see it again I am shocked by what was going on at the time. The film didn’t touch on the despair of joblessness. It didn’t need to as that wasn’t it’s purpose, there were other depictions of that like Boys from the Black Stuff or Johny Jarvis on TV for that, and I remember that whole sense of hopelessness that was around in those years. No this made me remember the ugliness of what happens to normal friendly people when they are stirred up by vocal extremists. It scared me how people can excuse themselves for terrible deeds and how it seems 90 percent of the population don’t think for themselves, but simply follow others’ leads, be it individuals in gangs or Prime Ministers. I think the 1980s saw a huge change in how the mass media was able to tell the population exactly what they wanted them to hear. On top of that it heralded a time when government was able to use that mass hysteria through the media on an almost daily basis as a form of control. The scariest thing is how little most of the people think for themselves or act on their own convictions if it goes against the general consensus. I don’t understand why I had forgotten this when I was living in those times. Perhaps I was too young to understand it then but I don’t remember ever being carried along by any of the nationalism around the Falklands campaign. I always felt there was a bigger picture there to see. I love films that work like this on different levels and this one is excellently done. The best thing for me about the film is the performance of Stephen Graham as Combo, the skinhead just out of jail, hardened by his time inside and carried along on the nationalist wave in the country and blaming any easy target. I was scared of him and he wasn’t even in the room with me. I was scared because he was so utterly unpredictable. The tension around him felt by everyone in every scene he was in kept me on edge and wondering how some of the others could even have the bravery to turn their back on him for a second. Get it out if you see it and see if your recollection of 1983 was as ugly as this was to me. Why didn’t I see it at the time I still don’t get. Just be warned there is a lot of racism and some violence in the film but it has to be there to make you feel it. So don’t be wishy-washy and avoid it because you don’t think you should watch that. To experience is to feel and to feel is to be alive. It’s a brilliant film and it has a super soundtrack so get it out. I said something in my last blog that described the way things make me feel at the moment. The phrase was “Happy- Sad”. I do and see a lot of things that make me smile and then think, and inside I have my moments, or when no-one can see I have them outwardly. But Happy-Sad describes it perfectly. I can be both in the same situation. Happy because I am enjoying what is going on around me and Sad because it should have been so much better shared with someone else. 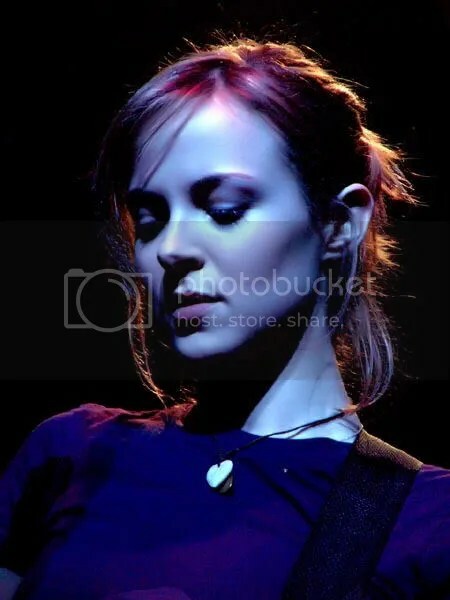 Gemma Hayes is a singer-songwriter born on August 11, 1977 in Ballyporeen, Tipperary, Ireland.She signed to Source Records in 2001 and issued the folksy 4.35am EP and the more band-orientated Work to a Calm EP before releasing her debut album, Night on my Side, in 2002. The album was nominated for that years Mercury Music Prize but lost out to Ms. Dynamite’s A Little Deeper.After touring Night on my Side Hayes took two years out from the music business; “All I do know is that I didn’t want to listen to music at all. I stopped listening to the radio. 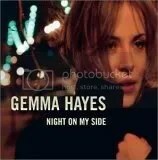 It was like I’d overdosed on music”.In late 2005 Hayes returned with her second album, The Roads Don’t Love You, and picked up the Best Irish Female Artist award at the 2006 Meteor Ireland Music Awards shortly before completing a small tour of the United Kingdom and Ireland. She then co-wrote a song with Adam Duritz for the Counting Crows’ live album, *New Amsterdam. This girl is so talented! COUGH ! COUGH !! COUGH !!! As it is the start of Lent there are probably millions of you out there who are using the opportunity to quit cigarettes ….. again ! Most of you will fail of course but I thought this would be a great opportunity to point you in the direction of one of the finest pieces of cinema of the 90s. If you are giving up the fags the second clip is just for you. . . This clip is the opening sequence starting with a shoplifter in Auggie’s shop. You can see how the feel of the movie reveals itself in this clip and it is set to the song “You’re innocent when you dream” by Tom Waits.